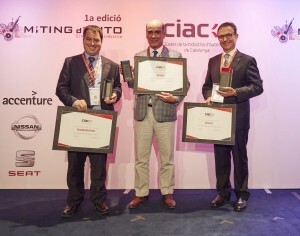 Relats Best Automotive Company of the Year - Relats S.A.
Relats has been awarded the prize for Best Automotive Company of the Year in the First Edition of Premis Ciac (Cluster Automotive Industry of Catalonia). These awards recognize companies that promote their activity competitiveness of the automotive industry. The “Best Automotive Company of the Year” is a distinction for companies with a consolidated track record and a significant weight in the sector. The awards ceremony was celebrated yesterday, October 6, at the Palace of Congresses of Catalonia.